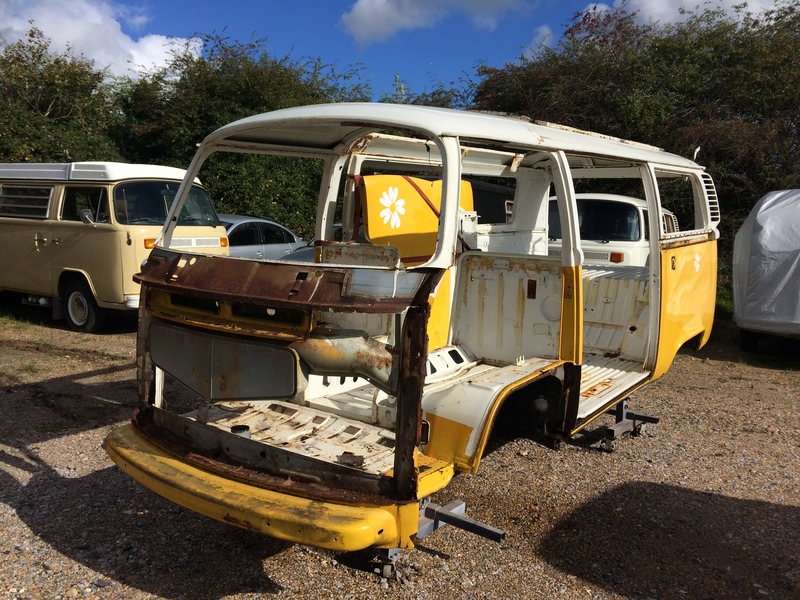 Here at Sussex Aircooled "Full Restoration" means just that. We don't cut corners. 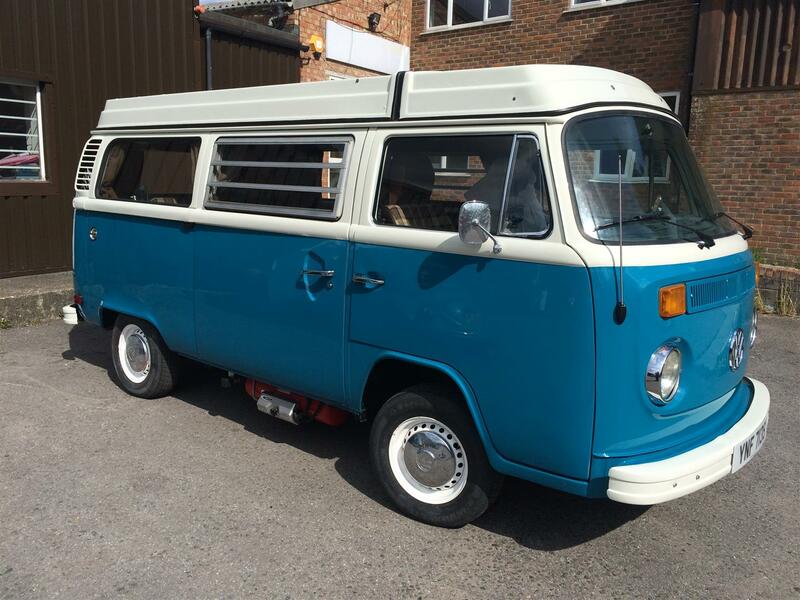 We will take any Classic VW Camper and turn it in to the van of your dreams. 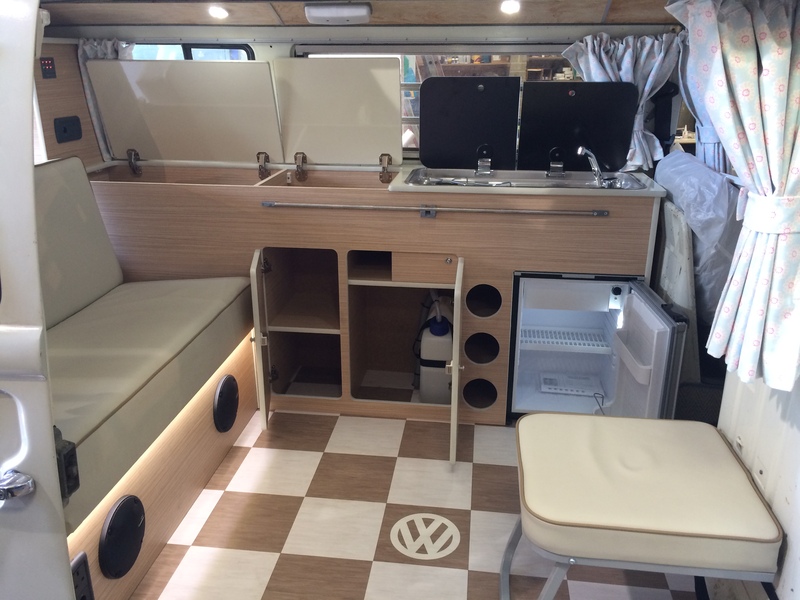 We have over 40 years combined experience of restoring VW campers and beetles so you can be sure your pride and joy is in good hands. We are enthusiasts too so we know what you want to see from your restoration. 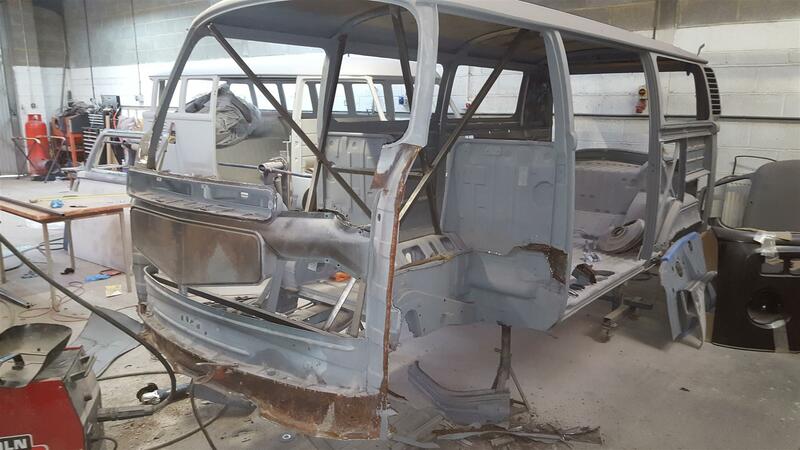 "..at Sussex Aircooled "Full Restoration" means just that..."
We specialise in complete "...ground, up" restorations where we will completely remove every nut and bolt from your van, send it away for blast cleaning which will reveal any and all problems with the metalwork. The media blasting process leaves the body free of rust, filler and any other muck on the shell. We then go over the body & chassis with a fine tooth comb and repair any rusted areas with either; new, hand made or rust free parts. Any dents will be pulled out where possible and all repairs will be finished to as near a metal finish as possible to minimize the use of filler in the final stages before the application of high-build primer and top quality paint. It's a rare day that we have to tell someone that their car is destined for the scrap bin. We always warn our customers to expect the worse when any project begins because the nature of the blast cleaning process is such, that it will reveal every problem the car has, so invariably we find hidden nasty's that no-one knew was there. Once the metalwork is complete and the body is prepared. 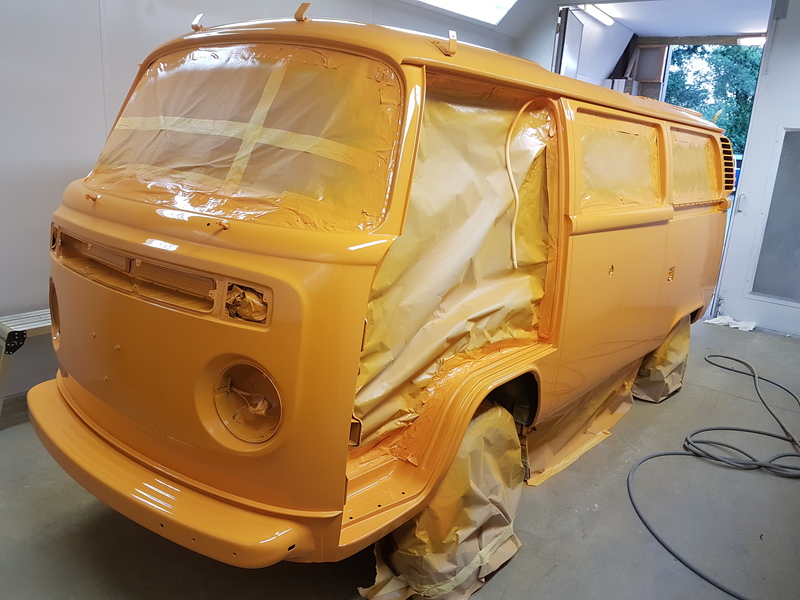 We can paint your van in any colour or colour combination you wish. The inside, outside and underneath will be painted just how you want it. We only use high quality paints in our purpose built spray oven. While all this is going on all the running gear items will be degreased and sent off for blast cleaning then powder coating or painting. "It's a rare day that we have to tell someone that their car is destined for the scrap bin..."
When we re-fit any camper, all cables are replaced for new as are ball joints and steering joints. New top quality window and door seals are fitted, along with new brake lines, flexi pipes and brake pads. If you feel like going even further, we can offer a full bespoke interior too. Designed around you and built in house by our talented staff and CNC machine. It is almost impossible to give a firm price for any restoration but we have attempted to give you a very near guide price for the cost of the process in the packages laid out below.